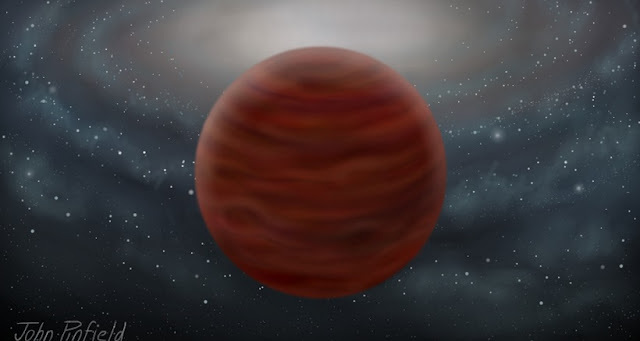 An international team of astronomers has identified a record breaking brown dwarf (a star too small for nuclear fusion) with the 'purest' composition and the highest mass yet known. The object, known as SDSS J0104+1535, is a member of the so-called halo – the outermost reaches - of our Galaxy, made up of the most ancient stars. The scientists report the discovery in Monthly Notices of the Royal Astronomical Society. SDSS J0104+1535 has been classified as an L type ultra-subdwarf using its optical and near-infrared spectrum, measured using the European Southern Observatory's Very Large Telescope (VLT). This classification was based on a scheme very recently established by Dr Zhang.